At Western University in London, Ontario, Jennifer conducts Les Choristes (women’s choir) and The Chorale (mixed choir) at the Don Wright Faculty of Music. She teaches Vocal Methods for the Department of Music Education and also maintains a voice studio through the Department of Performance Studies. Outside of Western, Jennifer is invited regularly to serve as a clinician for vocal and choral festivals and leads workshops for performers and educators in both Europe and North America. In 2009, she was the guest artist in residence at the Sibelius Academy and the Konservatori in Helsinki, Finland, and in 2010 served as language coach for Finnish ensemble, Rajaton. In 2015 she will adjudicate at the Tampere International Choral Festival, Tampere, Finland. A passionate advocate for music education in schools as well as in community arts organizations, Jennifer has served on faculty with The Voice Care Network, based at St. John’s University, Minnesota, and was the Artistic Director for the Woodstock Fanshawe Singers from 2004 – 2014. 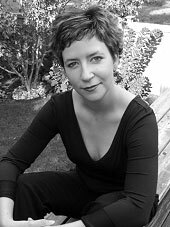 Jennifer is the founder and Artistic Director of The Kaleid Choral Festival; “a kaleidoscope of voices” based in Woodstock, Ontario. This non- competitive festival is designed for singers of all ages and levels of experience to be educated, energized and inspired through workshops and performances with internationally acclaimed guest artists.